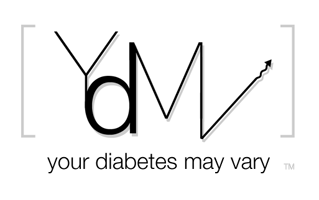 Your Diabetes May Vary: From the News Wire: Medtronic Increases R&D for D Stuff. From the News Wire: Medtronic Increases R&D for D Stuff. Forbes is reporting Medtronic is investing in medical devices for diabetes. Medtronic, the world's largest stand-alone medical device maker, is increasing its research and development spending on diabetes technology by 35 percent this year to speed development of next-generation diabetes devices that are simpler to use and more effective in managing the disease, said Chris O'Connell, president of Medtronic's diabetes division. "We're optimistic we'll have a patch pump on the market in fewer than two years"
I am a little shaky on how shutting of basals once you are already low isn’t locking the barn door after the cow got out. I guess it is a good idea and all but insulin is a lagging deal. If you are low now it is from insulin a few hours ago, you need glucose NOW, not just less insulin. I guess it is a step in the right way. I guess my old rep at MM knew what she was talking about! She reported all of this to me after last summer's big rep meeting in CA. I heard about the 40 cut-off anf thought that would be a problem. I guess that has been the hold-up for approval in the FDA for the "new" pump that is waiting to hit the market. Bennet I blogged about this news also. I hope it boosts general interest in this area. And I especially hope that we get some usable designs for all this money.